Yesterday we attended a gorgeous mother/daughter luncheon with Viviscal in Residence Dublin. We were thrilled to hear the success story of this Galway based company, who have gone from strength to strength providing award-winning hair growth supplements and aftercare products. Viviscal Maximum strength hair-growth supplements are supported by 25 years of continuous research and development with the worlds leading hair growth researchers. 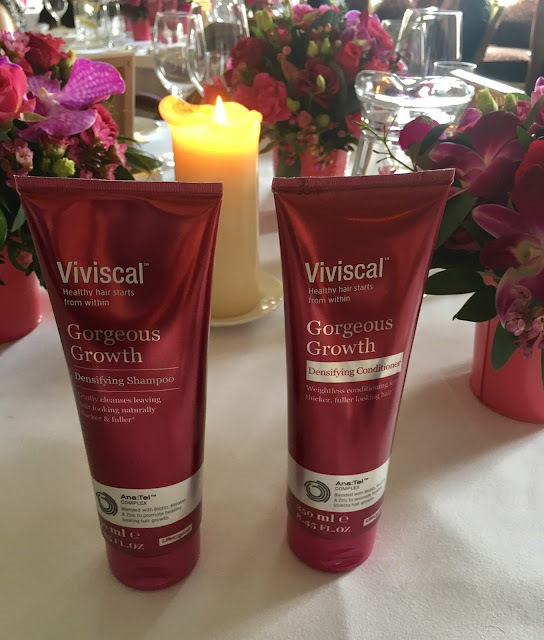 In 2016 Viviscal launched a densifying haircare collection of topical haircare products. The range includes a Densifying shampoo and conditioner, a Densifying Elixir (which is a leave in body-boosting serum) and Conceal & Densify Volumising fibres (available in 4 shades, this is applied like a powder to cover patches of thinning hair). Next Post Casual spring footwear….